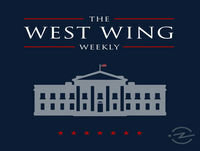 An episode-by-episode discussion of one of television’s most beloved shows, co-hosted by one of its stars, Joshua Malina, along with Hrishikesh Hirway of Song Exploder. 97. Los (5) sentidos en la P*** carretera. Eps 72: Perdebatan Sengit Perebutan Urutan 5 dan 6 di Premier League!